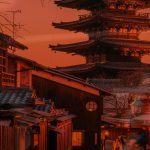 Japanese Language Expert | Tudip Technologies Pvt. Ltd.
Tudip Technologies Pvt. Ltd., looking for passionate Japanese language Expert who has certification level N2 and above, to be part of it’s core team that does DevOps work in Google’s cutting edge cloud platform. Tudip works primarily only on development work across .Net, Python, Ruby, MEAN Stack, Java, PHP, Android, iPhone/iOS and cloud technologies. It has a large foot print in the web technologies and ever growing foot print in the device and mobile based technologies. We are 100% export oriented unit and work only with US and European clients. Sounds exciting? Please read the job criteria below and drop us an email at joinus@tudip.com OR create an account at our Recruitment Portal to get started. Resolve Customer queries, escalations & handle critical situations. Manages email, chats, calls from customers in Japanese Language. Resolve customer issues in a timely and consistent manner. Manage time and productivity to meet daily individual and team ticket targets. Stay updated with the knowledge of internal ticketing system. Engineering degree is a HUGE plus but not mandatory. Exposure to cloud platform is again a HUGE plus but not mandatory.